Orkney 1942. Forbidden lovers, divided by war, united by a secret act of creation. 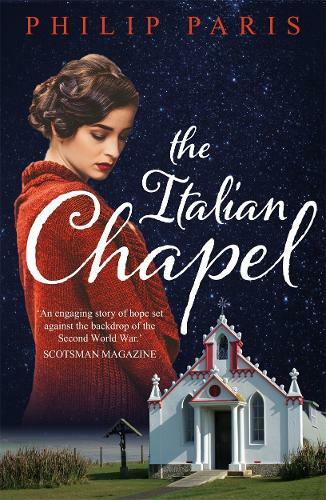 Amid the turmoil of the Second World War, a group of Italian prisoners is sent to the remote Orkney island of Lamb Holm. In the freezing conditions, hunger and untold hardships of Camp 60, this ragtag band must work together to survive. Domenico, a talented artist, is among them. He inspires his comrades to create a symbol of peace during these dark days of war, and out of driftwood and scrap they build the Italian chapel: a beacon of hope and beauty in a world ravaged by war. The chapel soon becomes a place of love, too. When Giuseppe, another POW, falls for local woman Fiona, he decides to hide a token of his love there . . . the secret of which is unveiled for the first time in The Italian Chapel. Based on an incredible true story, this heartbreaking and inspiring tale tells of forbidden passion, lifelong friendships and the triumph of the human spirit.